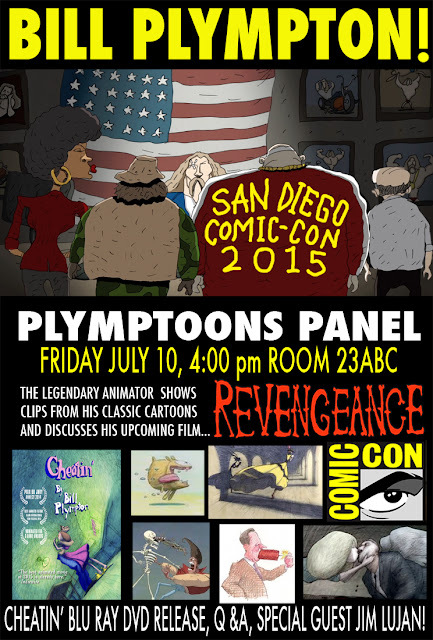 SAN DIEGO COMIC-CON-PLYMPTOONS PANEL COMING UP!! Come see BILL PLYMPTON and JIM LUJAN talking REVENGEANCE and MORE! -Clips from Bill's classic shorts and features! -Screening of Bill's new short THE LONELIEST STOPLIGHT! -Bill discusses his latest project REVENGEANCE! -Details on his CHEATIN' Blu Ray DVD release! -Behind the scenes stories from the animation world! -Question and answers from the audience! -Special guest panelist JIM LUJAN! 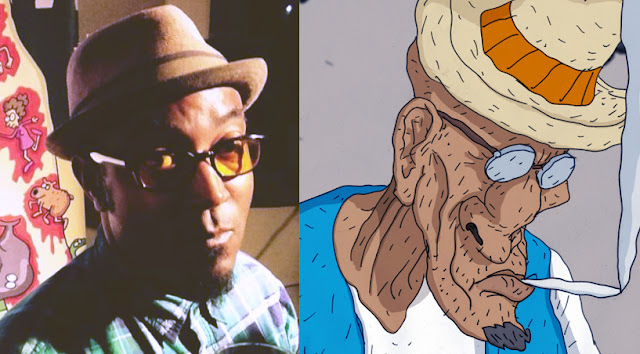 Keith Knight, famed cartoonist (K Chronicles, (Th)Ink, The Knight Life) and entertainer extraordinaire, has joined the cast of Revengeance as Slim, the sour old manager of the EZ-Fence pawn shop in Long Beach, CA. Knight adds; "The best cartooning evokes animation....the best animation always really looks funny." Knight joins Matthew and Ruby Modine, Dave Foley, fellow cartoonist Lalo Alcaraz, and comedian Kristina Wong (along with Jim Lujan) as voice talent for the 2016 feature animated film. You can check out Keith's hilarious work at www.kchronicles.com. 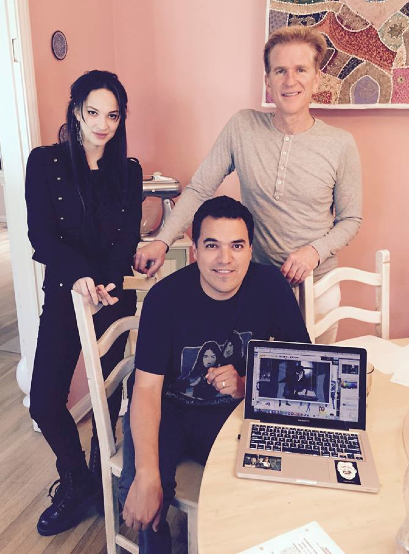 Matthew Modine and Ruby Modine are two of the nicest and most talented people that I've had the pleasure to meet. They are both going to be AMAZING in REVENGEANCE!Thank you so much, Modines! Matthew will be playing mean biker SID and the cult leader called "Master". Ruby will be playing Lana's mother named Kristi.